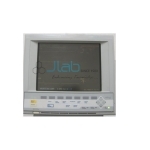 Jlab is renowned Multipara Monitor Systems Manufacturer, Multipara Monitor Systems Suppliers, Multipara Monitor Systems Exporter, Monitoring Equipment, Hospital Surgical Equipments, Multipara Monitor Systems India. we are involved as the Exporter, Manufacturer, and Suppliers providing a large variety of Multipara Monitor System. it is put in with a sensing element and wide used for activity signs and put in. we tend to manufacture the Multipara Monitor with high grade components and modern manufacturing process under the supervising of our consultants. 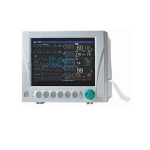 This monitor is specially designed in order to measure blood pressure, heart beat and pulse oximetry. 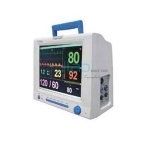 As a result of the wide clear visual display unit, portable, compact style and fine image quality it is wide employed in the hospitals, medical centers, clinics and more. 8" TFT, led backlight , 800x480 pixels. Visual and Audio alarms, adjustable. Patient management, name and age and id. High bright LEDS display of NIBP, SPO2 wave frame display. Manual auto/continuous measurement of NIBP. Adjustable audible and visual alarm. 8.4 = color TFT display. 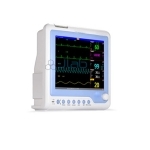 Suitable for adult, pediatric and neonatal patient. 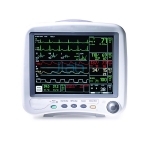 Basic parameters(ECG, Sp02, NIBP) in a durable case for bedside monitoring and transport monitoring. 12.1 LCD display, high resolution. Large number display for long distance vision. 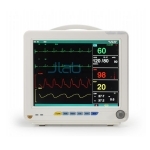 Digital SPO2 technology offers anti-motion and anti-low perfusion functions. Powerful data storage capacity (96 hours graphic and tabular trends of all parameters. 500 NIBP measurement, 60 alarm events). For adult, pediatric & national usage. 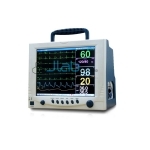 Designed by latest digital technology which give excellent accuracy. 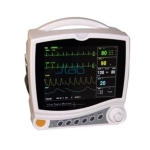 7"Color TFT Screen, waveform up to 8 channels Light and portable with build-in rechargeable battery72 hour storage and review of trend grams and tables.